There's a lot to like about the OnePlus 6. It looks great, its got that genius alert slider, and it charges really fast. It isn't perfect, though; to hit an appropriately OnePlus price point, some corners invariably must be cut. Last month, we shared with you six things we liked about the OnePlus 6. Now, here are five things we don't. Price was on our list of the best things about the OnePlus 6, and while it is still a big part of why the device is appealing — it doesn't really have any equals at its price point — OnePlus has been steadily upping the price tag on its offerings year over year at a rate that, proportionally, far exceeds other manufacturers. 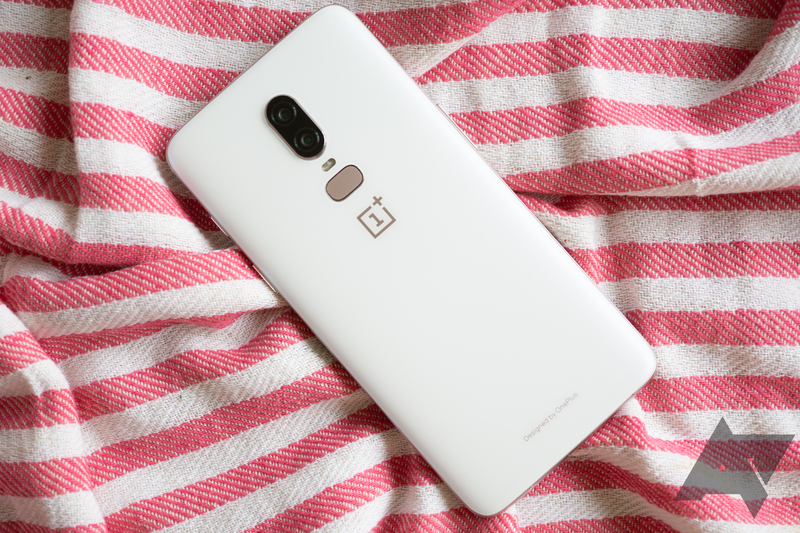 When the OnePlus One, similarly well-equipped for its time, launched in June of 2014, it cost a meager $299 — half the price of then-big players like the Samsung Galaxy S5 and iPhone 5S. The OnePlus 6 may still be half the price of Apple's best offering, but undercutting the $999 iPhone X isn't a particularly impressive feat. What's more, the climbing cost of OnePlus phones hasn't seen much added to sweeten the pot. Each successive device features up-to-date specs and an okay camera wrapped up in a handsome design. OnePlus isn't exactly packing its phones with bleeding edge features. Everything gets more expensive over time, but this is a little more than inflation. At a point, it goes from flagship killer to just flagship. On its website, OnePlus describes the 6 as being water resistant "under certain conditions" despite having no IP rating to speak of. It's equipped with "weather protection," the site says, which should keep it from shorting out in the rain. That's all well and good, but water resistance — I'm talking bona fide, survive-a-dip-in-the-tub resistance — is table stakes for premium phones in 2018. The OnePlus 6 may be emulating a high-end device at a mid-range price, but HTC managed to get last year's U11 Life IP67 certified, and that thing cost $349. Aside from cutting costs, I can't see any reason the OnePlus 6 shouldn't be able to live through a drop in a pond. Considering OnePlus' savings seem to be increasingly for the company's benefit rather than ours, I'm not crazy about that. That's were my hand goes when I'm watching a video, OnePlus. The OnePlus 6 has a big, bright, nigh bezel-less screen that's great for watching videos and playing games. Unfortunately, those are generally landscape activities (well, except on IGTV), and OnePlus decided the speaker on the 6 should be downward-facing on the bottom edge of the device, right where your hand goes when you hold the phone on its side. This isn't really surprising; speakers have been downward-facing on previous OnePlus phones and indeed plenty of others. 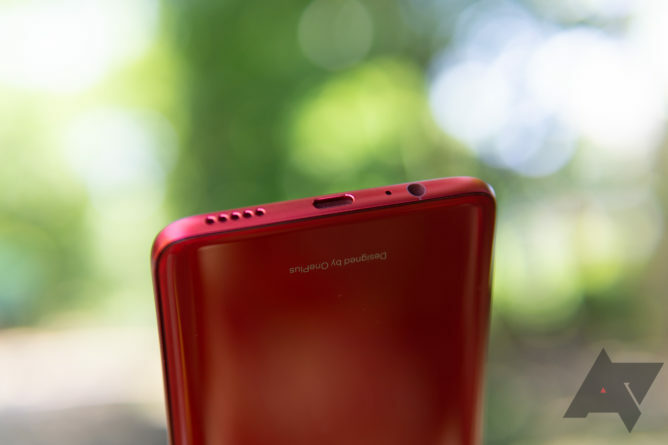 But if, for the sake of our tiny-bezel future, OnePlus absolutely couldn't fit front-facing speakers into the OnePlus 6's design, it could've at least taken a cue from phones like the Samsung Galaxy S9 and HTC U12+ and made the earpiece a second speaker. The OnePlus 6's glass back is nice. It feels good, it's pretty, and it's very 2018 — but it's purely for aesthetics. The vast majority of devices incorporating more fragile glass into their designs than necessary do so for the sake of facilitating wireless charging, since it doesn't work through metal and plastic is apparently the devil. OnePlus did it solely to ape trendy smartphone design. 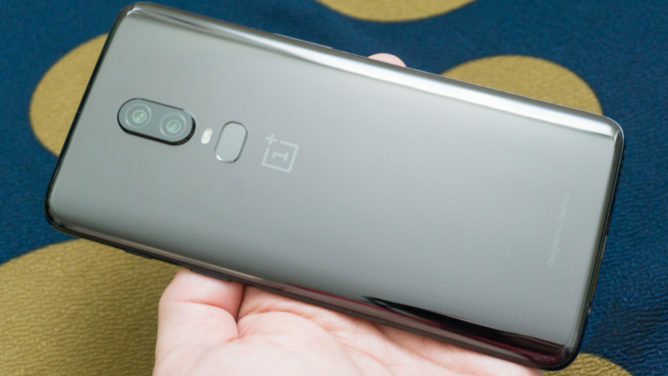 In an absolutely silly 1,000-plus-word forum post about "honest design," OnePlus CEO Pete Lau wrote that the "advantages of glass over metal are manifold: glass communicates a transparent, bright, and pure feeling." That seems like one advantage to me, and a pretty dubious one at that. In our best features post on the OnePlus 6, I said you wouldn't miss wireless charging in light of the phone's ludicrously fast wired charging, and I stand by that; I don't miss it. But considering the the glass here doesn't do much beyond making the phone easier to break and harder to fix, I would've preferred a metal build. At least OnePlus includes a case in the box. Carrier support info from OnePlus' website. In perhaps its most egregious flaw, the OnePlus 6, like other OnePlus devices before it, is unusable to many people. The phone supports primarily GSM wireless bands, meaning that both Sprint and — much more importantly — Verizon subscribers can't use it without switching carriers. Verizon Wireless is the largest cell service provider in the United States; combined with relative small fry Sprint, you've got a whole lot of potential OnePlus buyers out in the cold. Even devices sold directly through carriers generally play nice with other networks — a Pixel purchased from Verizon works just fine on AT&T. To get a device that feels expensive to be, well, inexpensive, concessions have to be made. OnePlus definitely made those concessions, while also ratcheting the OnePlus 6's price up another 30 bucks over its previous offering, all without doing anything particularly novel. If you're not a Verizon customer (statistically, you're probably not a Sprint customer) and you're not concerned with durability, the OnePlus 6 is still a great option — but OnePlus is running out of room to raise its prices without bringing something fresh to the table.